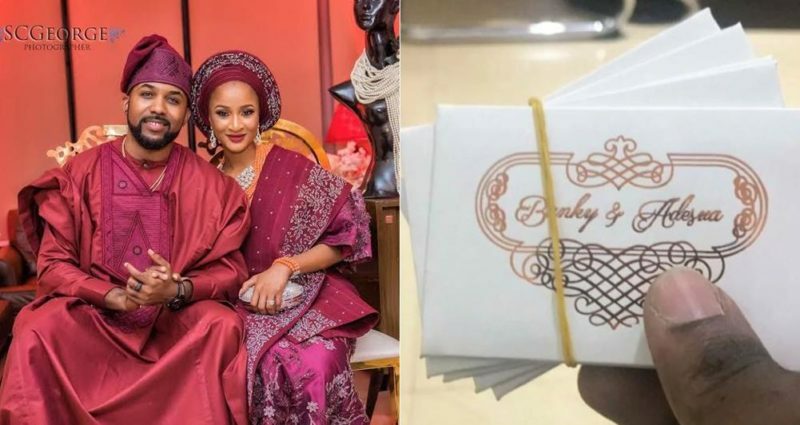 Singer Banky W and his fiance, Adesua Etomi traditional wedding is set to take place tomorrow November 19th. The picture below is the access cards needs to gain entrance into the wedding venue. Adesua and her bridesmaids were also spotted at a beauty salon/spa in Lagos Friday night getting prepared for the big day tomorrow.